Is An All-Meat Diet Really So Extreme? | Eat Meat. Drink Water. Is An All-Meat Diet Really So Extreme? The Zero Carb interview I did with The Andersen Family was recently shared on the popular Facebook page Authority Nutrition. It generated several hundred comments from readers. Some of the comments were sincere and thoughtful, while others were down right ignorant and unkind. Even though Charlene – the wife and mother of this lovely family – healed her very ill body from Lyme Disease, and then went on to produce two beautiful and very healthy boys, by adopting this diet 17 years ago, they were none-the-less criticized by many for their dietary choice. Apparently, even the hardest evidence is impossible to accept when one’s beliefs are in the way. As long term Zero Carb carnivore Michael Frieze said in response to the general tenor of these comments, “People like to say what they think without really thinking.” Unfortunately, this observation is all too true, and I was probably guilty of the same kind of unthinking remarks myself at one time – being the former vegan that I was – before I decided to broaden my horizons and read beyond my comfort zone of beliefs. 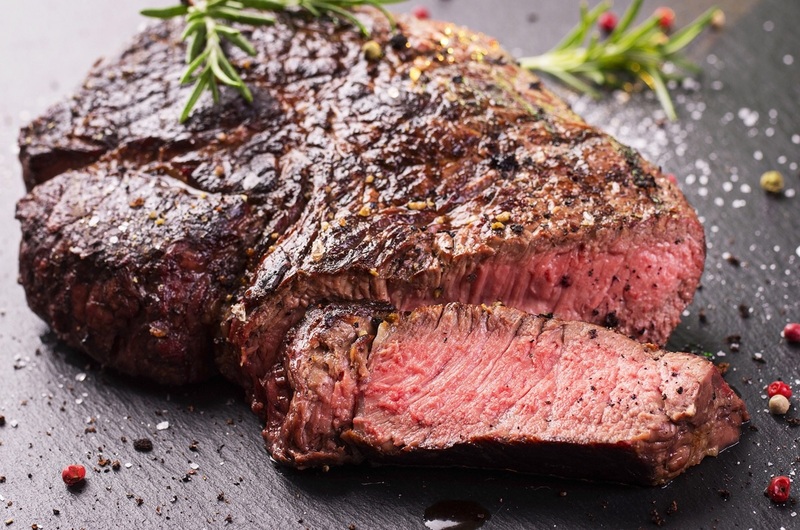 One of the most frequent comments I heard from the readers of this post was that they felt an all-meat diet was too “extreme” and “unbalanced” and – by implication – therefore somehow “inappropriate” and “wrong.” There is a strong bias toward the idea of “moderation” in all things in our modern Western culture, and this perspective is often applied to the foods we eat. But, as low carb doctor and scientist Stephen Phinney – author of The Art and Science of Low Carbohydrate Living – has pointed out, it may be neither wise nor valid for us to apply “moderation” thinking to our diet, especially if we are sensitive or even intolerant to carbohydrates. For example, when someone has a problem with alcohol, the treatment of choice is the complete elimination of all alcohol from the person’s diet. A moderate intake of alcohol is generally considered to be an incredibly dangerous and unhealthy practice for an alcoholic. Exiling it from one’s life is neither labeled as “extreme” and “unbalanced,” nor seen as an “inappropriate” and “wrong” approach to the problem. In fact, examined through this lens, veganism is a lot more “extreme” for humans than an all-meat diet is because no human population in history has ever willingly eschewed all animals foods for any length of time. Many long-term vegans – like myself and Lierre Keith (author of the excellent book The Vegetarian Myth) – are discovering the negative health ramifications that occur as a result of avoiding all animal foods for years. 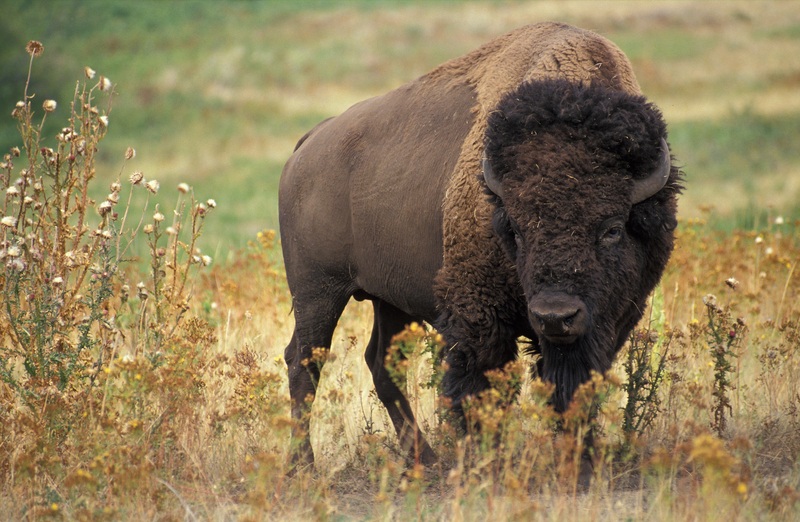 Bison live almost entirely on prairie grasses. 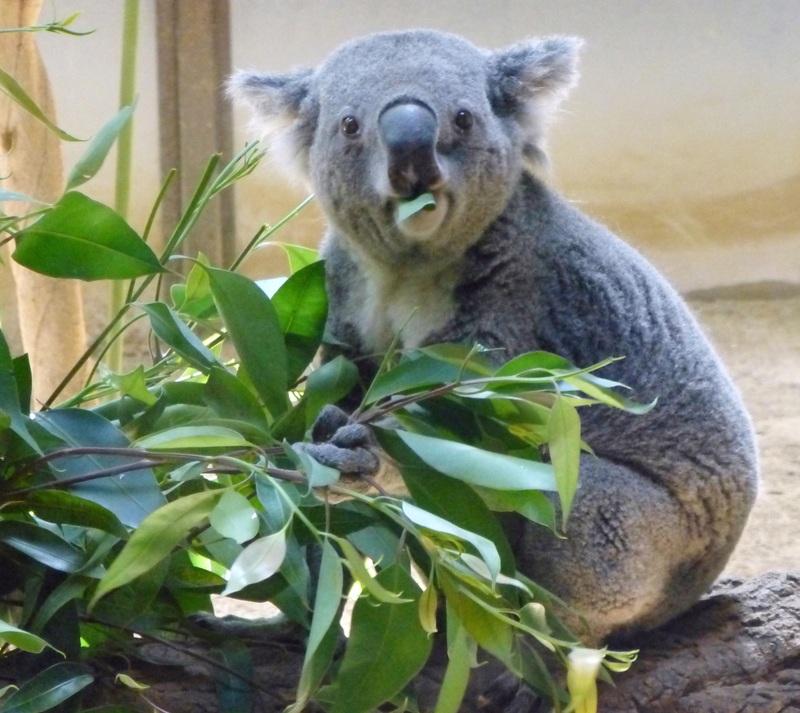 Koala Bears live almost entirely on Eucalyptus leaves. 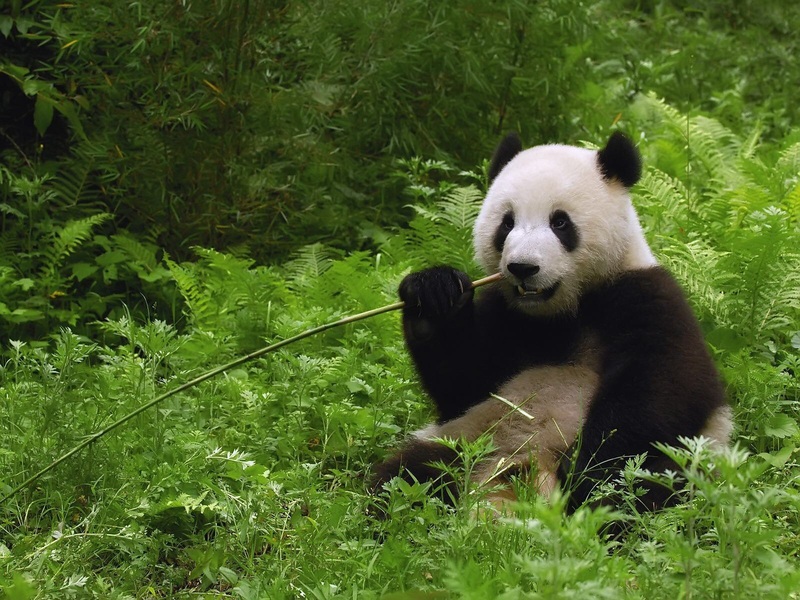 Panda Bears live almost entirely on Bamboo plants. 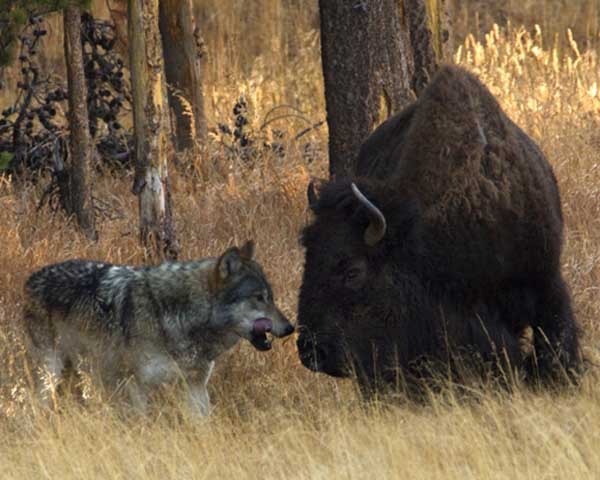 Wolves live almost entirely on the flesh of other animals. And none of these animal’s diets are deemed “extreme” or “unbalanced” or “inappropriate” or “wrong.” Instead, it is widely understood that these animals evolved to eat specific foods and that these specific foods provide all of the nutrition required for optimal health in these animals. Many a zoo keeper has discovered that if these animals do not -in fact – receive the foods they evolved to eat, they will become ill and unable to reproduce. Once the appropriate food is supplied to their captive animals, the animals in their care recover their health and reproductive capacity. It is truly astonishing that human doctors seem completely incapable of drawing a connection between their patient’s food intake and their patient’s health or lack there of…but that is a different discussion altogether. Suffice it to say that veterinarians are quite a bit more advanced in this understanding. We even have the example of several modern remnants of our hunter-herder ancestors such as the Arctic Eskimos studied by Stefansson (see The Fat of the Land) and the African Maasai studied by Weston A. Price (see Nutrition and Physical Degeneration) to show us just how healthy an an all-meat and animal foods diet can be. From an anthropological, archeological, historical, and ecological perspective, an all-meat diet appears to be the most natural nutritional choice in the world for nourishing the human body and mind. The only thing extreme about an all-meat diet – as far as I can tell – is that is allows us to live extremely well. This entry was posted in Uncategorized and tagged Carnivore, Carnivory, Diet, Disease, Eskimos, Fat, Health, High Fat, Keto, Keto-Adapted, Ketogenic Diet, Ketosis, LCHF, Low Carb, Lyme, Lyme Disease, Lyme's Disease, Maasai, Masai, Meat, Nutritional Ketosis, Paleo, Paleolithic, Primal, Stefansson, Stephen Phinney, Weight Loss, Weston A. Price, Zero Carb by esmeelafleur. Bookmark the permalink. Somehow the everything in moderation approach is the mainstream. People think that carbs are part of human diet, in essence everybody’s addicted without even realizing what a powerful drug they are on. Only when you experience the withdrawal symptoms you realize that you’ve been addicted. Just like with coffee. Thank you for this wonderful connection. The realization that ive never felt a withdrawl like feelings from meat or fat only carbohydrate foods. A step further would be that its relatively easy to go vegetarian and only after a couple years do people begin to feel the effects of giving up meat, because it causes deficiency as opposed to withdrawl. Our digestive systems are mostly carnivorous, this same system is flexible enough that we can eat other things so we have survived. This is facinating, like the last of the shackles of conventional thinking has been broken. EXCELLENT post, Esmee. Unfortunately, I was not able to stay on ZC due to specific body reactions that were not part of just ‘the transition phase’ (return of uric acid kidney stone symptoms.) I believe in ZC for many people, if not even most. I did lose (through a serious battle) one so-called close blogging friend. The paleo/primal proponents, who have no problem calling out grain-loving people for being intolerant to new ideas, HATE ZC. Think it’s insane. In other words, are quite intolerant themselves. It was bizarre to watch. Hi Gwen, have you explored these two links? Beautiful Esmee! So many good points are made here! Thank you Joe, feel free to contribute any additional ideas should they come to you. A brilliant post. I’ve always found it odd how most people are so threatened by others dietary choices. While I currently have no plans to go ZC I am loving reading these articles – thank you for sharing! flojo – Glad you enjoy them. Thanks for your feedback. I also highly recommend the book The Vegetarian Myth by Lierre Keith, another recovering former long-term vegan. This book is so important that I believe it should be required reading for everyone before they leave high school. Additionally, I highly recommend reading Denise Minger’s new book Death By Food Pyramid. She was part of the raw vegan community for a period of time before her body began to fall apart. Please visit my other recommended reading by clicking the “Resources” link at the top of this blog. Celsey, raw veganism sounds good on paper, it certainly works for some people. However, I have met very few who have remained healthy eating a raw, low-fat, fruit-based diet for long. Most of the ones who do fairly well are what I would call extreme exercisers. This means that they are already healthy and that they engage in activities that help to burn all the sugar they are ingesting. I was deeply involved in the 30 Bananas a Day crowd for about 2 years when I was following the 80/10/10 diet. When the diet does not produce the results claimed, and you begin to express doubts about it and ask questions, you are told that you are not doing “right” and you get banned from the forum. I know because that is what happened to me. Even the 30 Bananas a Day poster girl “Freelee” no longer eats just fruit, she is now eating cooked starches at night. But, as my favorite spiritual teacher Abraham says, “Words don’t teach, only life experience teaches.” What I think is right for you is completely irrelevant. The only way you will know if a raw vegan diet works for you, is if you try it. There have been no controlled studies of people following a raw vegan diet for any significant length of time to know for sure how their bodies and minds are being affected. All I can tell you is that it made me personally feel terrible. Many deficiencies, especially of critical nutrients like B-12 can take years to show up. I have noticed over the years that 7 years is a common point at which many vegetarians and vegans start running into problems and decide to reintroduce animal foods back into their diets. I completely agree with you that you need to decide if you want to run on fat or sugar, eating both together is definitely a problem. I encourage you go to my Resources page and listen to all of the audio and video recordings that are freely available. Educate yourself. Read The Vegetarian Myth by Lierre Keith. Then, if you still think it is healthier to fuel your body with sugar, instead of fat, experiment and see how you feel. You tell ’em, Esmee! I absolutely adore the simplicity of Zero Carb, but not as much as my body and mind do. Even my Neurofeedback trainer can see a difference – my brain is in a much calmer state since going ZC. I was a vegan for four years. I got thin and sick (low B12). I added meat back to my diet, then, and had to have B12 injections for months. I ate a mixed diet for about 8 years before the middle age weight came piling on. Keto was the only way of eating which worked, along with regular fasting. I am on Day 20 of a 30 Day ZC experience. I am still adjusting. Thank you Esmée for this blog. Congratulations. I hope your journey continues to be blessed.